BELLEVILLE, NJ — Belleville residents have been so shell-shocked by destructive and costly politics recently, it seems almost nothing comes as a surprise to them anymore. After the results of last year’s mortifying financial audit of the Belleville Board of Education by the State of New Jersey, how can you ever hope to top that stomach-churning disgrace? Given how the topic of the infamous 2,000 USB flash drives comes up time and time again at public meetings however, our very dear friends in Belleville may just find this small untold chapter of the story I’m about to reveal to be a whole new level of outrage and betrayal of the public trust. As if these poor people haven’t had enough already. Listen up, New Jersey. All of this could happen in your town as well. Back in May of 2014, I wrote an article called, “Where, Oh Where, Did Our 2,000 USB Drives Go?”. This slightly cheeky investigative report shows how now-Councilman Joe Longo was a sitting trustee on the Belleville Board of Education in April 2013 when the school board strangely purchased $20,150 of computer accessories — 2,000 USB flash drives — from his own employer, Marange Printing Inc.
At this time, Longo was a salesman for Marange Printing, the BOE was practically destitute if not already in a budget deficit, teachers were complaining that they did not have adequate supplies, students were sharing outdated textbooks, and the few computers in the district that were still functional were so old, most if not all of them did not even have USB ports to accommodate the devices in the first place, much less 2,000 of them. Therefore, what on earth was the justification for spending over $20,000 on flash drives no one needed? Despite being only three months into this project and my first investigative report, this article went on to become one of the most frequently read and talked about stories on NutleyWatch.com, the predecessor to this website and the first stage of the Essex Watch Project. Over the last 16 months since that article was published, if I had a dime for every time I’ve been asked, “Did anything ever happen with that story about the 2,000 flash drives?”, I could probably fund a full-time staff to help me run Essex Watch. I’m not even joking. While nothing has happened yet in the accountability or law enforcement sense of the phrase, there is much more to the whole flash drive story that I wasn’t able to tell when I first reported it last year. If you haven’t read Part One of the USB flash drive story yet, you might find this follow-up much more interesting if you take a quick peek back at the original article. Don’t worry, it’s a quick read. I’ve been withholding these additional critical details from the public for a full year, and with good reason. I’ll explain why a bit later. Now, it’s finally time to tell the rest of the story. Not long after I wrote the first story and we released OPRA’d documents involving Marange Printing, newly-minted councilmember Joe Longo spent part of his second Council meeting in office responding to questions about the Board of Education doing business with Marange while he was both a salesman for them, as well as a sitting board trustee. In particular, the subject of the 2,000 USB flash drives being sold to the district by Marange at well above prevailing retail price came up once again. This issue had been in question repeatedly for months, but much more so after the article was published and people had a better handle on the facts. This time however, in politically-hostile territory (he ran with Burke and Freda against Kimble and Kennedy in a viciously dirty election), Longo would quickly learn that stonewalling residents is generally less tolerated than perhaps what he was used to on the school board. In the rather cozy Council Chambers, Longo was now forced to respond to questions being fired at him at point blank range. He was kind enough to make some very interesting statements for us on the public record. If you happen to mis-click the audio recording below, you can start from exactly 1 hour 12 minutes in, and listen for about the next 3 minutes until the talk shifts into the budget. In this exchange with a resident, Longo claims that in order for there to be a conflict of interest with a sitting board trustee doing business with his own company, he would need to own a 10% or greater interest (equity ownership) in that company. We found this to be a highly dubious claim the moment those words came out of his mouth. How many school board members own 10% of a company? That would be a very tiny subset of school officials who are actually prohibited from doing business with their own company, while everyone else would suddenly have carte blanche. Good try Joe, but I don’t think that’s how it works. And just out of curiosity, if Longo had no involvement whatsoever in any of the transactions with Marange, why then would he feel compelled to research if there was a conflict of interest? Regardless, we looked up the School Ethics Act as published by the New Jersey Department of Education. As you can see from just this portion of the statute, there is no such stipulation about having to own equity in a company for a business transaction like this to be considered a conflict of interest. One can easily argue that a salesman being able to dump off unwanted merchandise on the school district without sufficient justification and at an enormous profit would certainly qualify as using your official position to secure unwarranted privileges or advantages. Needless to say, his attempt to throw people off the trail wasn’t fooling anyone. In this discussion, among other things, Longo would have you believe that he was not at all involved with any of the many thousands of dollars in printing transactions with his employer Marange, and that he had nothing to do with the purchase by the Board of Education of the 2,000 flash drives from his company. Well, for your consideration, we have evidence that suggests otherwise. No, not Oprah Winfrey. Although, her power is pretty awe-inspiring too. Think she would give us grant funding? As many of you already know, the Open Public Records Act (OPRA) is a powerful tool that allows citizens to acquire public information from public agencies. The following is a compilation of documents that were acquired through multiple OPRA requests, beginning almost two years ago. We had to be a bit roundabout in going after the specific information we wanted, but after several months, eventually we got what we needed. 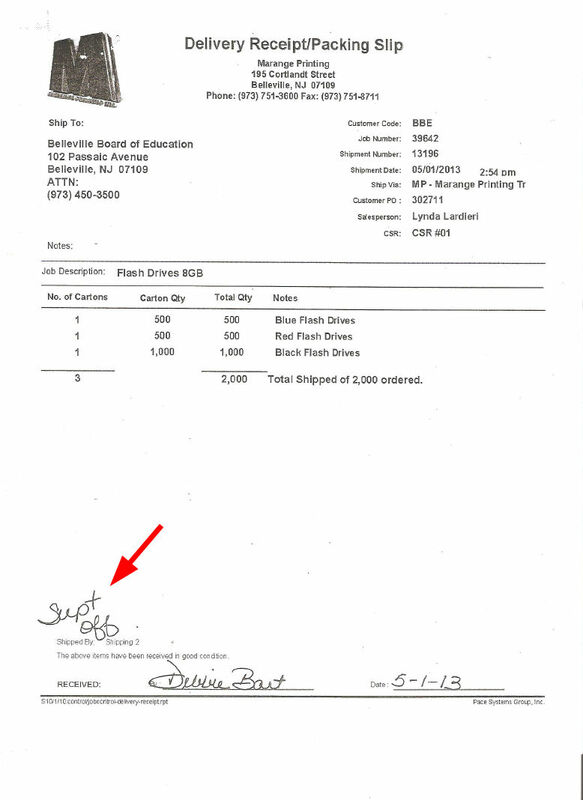 I’ve put some of the documents into a single compilation here that focuses on the $20,150 purchase of the 2,000 flash drives by the Belleville BOE. Multiple attorneys and open government experts have reviewed this information, and I am now releasing these documents to the public for your consideration. Now that you have some key information that you didn’t have in the original story, let’s work our way through the new details to piece together a picture of what we believe transpired. As you can see from the first page of the PDF document, then-Board Trustee Joe Longo walked into the Belleville Police Department with another employee of Marange Printing Inc, at approximately 1:25 PM on Wednesday, April 10, 2013. They proceeded to file a police report alleging business-to-business fraud. In the report, the two complainants allege that they were contacted by an individual from a company called SBSG Computers in Newark. This individual placed an order with Longo to purchase 2,000 USB flash drives. Two credit cards with different names were given for the payment, which totaled $23,250. Incidentally, that’s $11 per USB drive (holy markup, Batman! ), plus a $770 service charge, and a $480 shipping fee. On another side note, around the time of this event, I had 450 pounds of custom woodwork shipped cross country on a palette to my house, and that only cost me $270 in shipping fees. Unless Longo was shipping that box to this client strapped to the back of an imported African Silverback Gorilla on foot, $480 in shipping seems a little steep to me. At some point after the credit cards were presented as payment, Longo was notified by Citibank that at least one of the two transactions was a fraudulent charge. While it’s probably safe to assume the second charge was fraudulent as well, we don’t know that for sure. Now here’s an important detail to note in the police report — Longo never shipped out the merchandise to the client. He now found himself sitting on a box full of 2,000 USB flash drives. Did Marange itself spend money to acquire these drives, so that they could turn around and sell them at a huge markup to this client? That’s not at all unusual for a business, but it would contribute to this situation being even more problematic for the salesperson responsible. Perhaps they bought them wholesale, in which case not only were they out that money, they were also stuck with product — and lots of it — that didn’t appear to be in line with their core business as a printing company. As far as the police report is concerned, other than getting stuck with a box full of drives, they don’t appear to have actually lost anything. So then, why file a police report in the first place? Did they perhaps file an insurance claim as well, in addition to selling the merchandise to the district? Lots of questions, but those are really secondary to the transaction involving the school district. 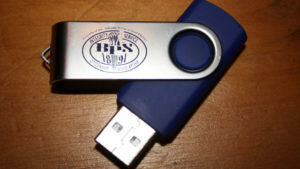 How serendipitous that just 48 hours after Board Trustee Longo alleges he was scammed in a police report and finds himself stuck with thousands of dollars in merchandise (and likely an irate employer), the Board of Education suddenly finds itself in need of 2,000 flash drives that it cannot reasonably justify purchasing. Even better, they happily agree to pay at least a 400% markup from retail price to acquire them from Longo’s company. And Councilman Longo “had nothing to do with it”? Right, so as of April 12, 2013, the Board of Education becomes the proud owner of 2,000 USB flash drives, courtesy of Mr. Longo (to whatever degree). So what did the BOE do with the rather expensive merchandise after they bought it? Well, they couldn’t use the flash drives for the district’s ancient computers. By last count around this time in 2013, there were less than 100 of them still working anyway. Did they distribute the drives to the students? Nope. Did they give them out to the teachers? Yeah right! In fact, despite months of questions posed to the Board about this highly questionable purchase at public meetings, it was only after the New Jersey Department of Education sent in State Monitor Thomas Egan last May and began turning the district inside out trying to make sense of things, that we even started to get any response to such questions. What we were told last summer, and I’ll have to locate the specific BOE meeting video, was that the box was found in a closet in former Superintendent Feldman’s office. On top of that, all of the flash drives were accounted for. Except, what that means is the Belleville Board of Education was evidently in such dire need of $20,000 worth of flash drives from Mr. Longo’s company that they made the purchase, then promptly stuffed them in the back of the Superintendent’s closet. And there they sat in a box, for a year and a half, until the State located them. 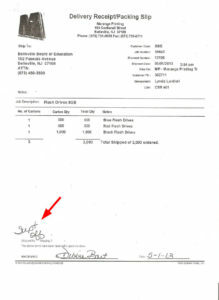 Interestingly, the document on Page 9 of the PDF shows a handwritten note on the signed Delivery Receipt. It says, “Supt Off”. Click the image below to enlarge it. This further supports the idea that right from the very beginning, these flash drives were never intended to be used for anything. It was premeditated that the box of drives would not go anywhere but straight to the Superintendent’s Office for safe and discreet storage. Not to Bill Freda, head of the Technology Department, for which they were supposedly purchased. Not to the school principals for distribution. Or to the Media Librarians perhaps. Nope, straight to the back of the Superintendent’s closet. Meanwhile, how many textbooks could have been bought for the students in need with $20,000? Supposedly in recent months, at least some of the drives have been distributed to people in the school district. I’ve never seen any of the flash drives for myself, nor do I know a single person who has received one, but I do believe this to be true. That’s all fine and dandy now. The district owns them, they should finally be put to some use. However, what they’re doing with the items more than two years later doesn’t change anything. The entire point is, the USB drives never should have been purchased in the first place. So where does that leave us? Now that you’ve seen plenty of supporting information between the two articles presented here, let’s break down what appears to have happened. In April 2013, then-Board Trustee Joe Longo, an elected official sworn to uphold the public trust, sells or is involved in the sale of $20,000 worth of merchandise from his own company to the Belleville school district using district funding. There is no conceivable justification for the purchase. There were urgent, high priority education-related needs being ignored, and the district was either already in a budget deficit, or careening headfirst into one. That merchandise is then locked away in a closet for more than a year before it is supposedly located, with all pieces accounted for. Based on the evidence now provided by the police report from the Belleville Police Department, taken in consideration with the previous OPRA’d documents offered here in our original investigative piece, as well as testimony offered on the public record, there seems to be no motivation for the sale other than to assist Councilman Longo in offloading merchandise that he personally found himself stuck with just 48 hours before the transaction took place. The documentation taken together suggests that Longo used district funds to relieve himself of a costly problem he had with his employer after being scammed by a client by selling the drives to the district. Further, he sold them to the school district at an unconscionable markup price, thereby not just making himself whole again, but making himself and/or his employer a tidy profit in the process. While that’s certainly “turning lemons into lemonade” in a manner of speaking, that was school district money; state and possibly federal. From every conceivable angle you look at it, Longo used school district money, earmarked for the education of children, to buy himself out of a problem he had at work. Conflict of interest? That’s one way to look at it. Misappropriation of public funds? In light of the evidence, we strongly feel it is. Is it also criminal misconduct? We’ll let the experts decide that for us. $20,000 in flash drives no one needed, kids used as cash cows being sent by the busload on school time to a trashy talkshow in Connecticut that paid attendees $70 per head in cash, 2 million dollars spent on a security system and network “upgrade” using end-of-life and substandard equipment from a company run by a convicted felon, the district’s entire server architecture goes up in smoke — with backup systems — destroying all school data on the eve of a state audit, a 4 million dollar budget deficit by the BOE, a 1.3 million dollar overdraft in the school’s bank account, over 2 million dollars paid out to vendors with no supporting documentation…..the list goes on and on. I could spend all night explaining everything that’s happened in the Belleville school district in the last three years alone, dropped on the shoulders of the taxpayer by both past and present board members and a cast of supporting characters. We’ve all waited very patiently, but it’s time for state and federal law enforcement agencies to finally put these issues to rest. It’s time for Attorney General Hoffman’s office to step in, and put a decisive end to the political graft that nearly destroyed the Belleville school district, and for which Belleville residents will be paying in tax increases over the next decade. The good news is, although I’ve had most of these documents in my possession for over a year and never published these critical details on The Watch, I didn’t exactly sit on them, folks. Within an hour of acquiring the last pieces of the puzzle, copies were sent to multiple law enforcement agencies, who then corroborated the information for us. I was simply asked to hold off for a little while on making it public. Rest assured, this info got where it needed to go, a long time ago. Now it’s time for people to be held accountable for millions of dollars vanishing into thin air from the school district, with no equivalent value in return to show for it. It’s time for people to be held accountable for starving the district of education funding by using it for other questionable purposes, thereby depriving 4500 children each year of the education they truly deserved. The justice system must make an example of public officials who so grossly violate the public trust, and send a message across the state that such appalling acts of depravity will be met with severe criminal repercussions. Belleville deserves justice, once and for all. The Essex Watch will continue the fight until the citizens of Belleville finally have it. 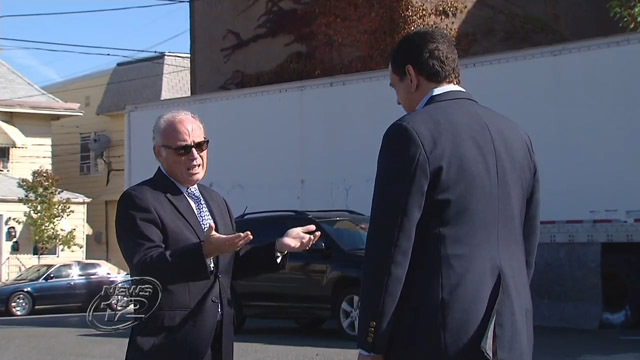 Update (9/9/15): I’m very excited and honored to have investigative reporter Walt Kane of News 12 NJ run a story about this article on “Kane In Your Corner”! Update (10/27/15): Behold, one of the infamous flash drives in question. Thanks, Griff. This is outrageous. Belleville citizens and taxpayers should be out in great numbers to the next Council and BOE meetings to demand an explanation to the questions outlined above. Serious charges are now being made and Joe Longo should be quick to respond! EssexWatch- the first and only source of the facts behind this story. Excellent work, Lee. Grassroots investigative journalism at it’s best! More than 6K reads so far and still holding it’s own. Thank you both very much, I appreciate the kind words. Griff- Significant story- a follow-up question to above comment by Jeff Mattingly. What is the current number of “reads”, if available. Thanks. I haven’t looked in awhile, but last I checked there were over 7,000 non-bounce reads (people who legitimately read it and didn’t just do a hit-and-run on the article).